This post is the fourth of a 6-post series with step-by-step procedures that I followed recently to setup WordPress on AWS for this version of the website. In this post, WordPress is installed onto the AWS instance. Three main steps are needed to install WordPress: setup a WordPress database in MySQL, create a site configuration file for Apache to host WordPress, and install WordPress. Enter ctrl-x, type y, and return to save. Then enable the wordpress configuration and restart Apache2. 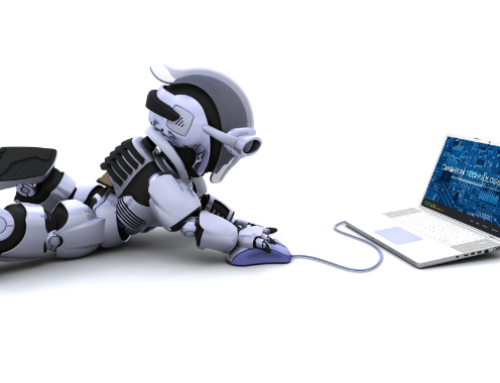 To download WordPress, install, and configure, start with this set of commands. 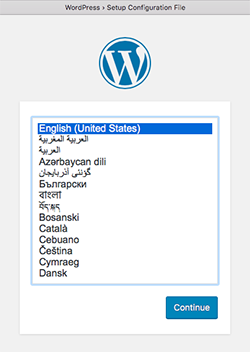 After selecting the language, an informational page is displayed. 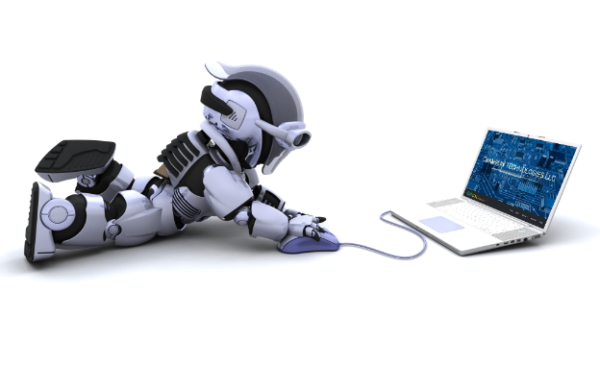 All of the requested information was defined during the previous installation steps. Replace username with the real username (user2 in this example) and password with the real password. The default values in the other fields are valid. 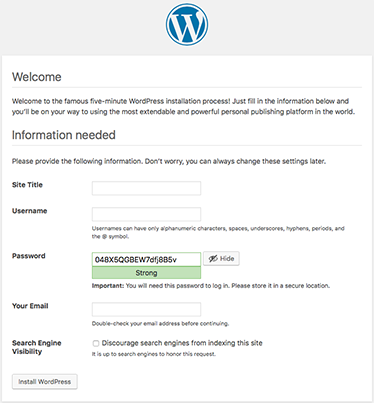 Fill in the requested info and click on ‘Install WordPress’. Open a web browser and navigate to (http://domain.com/wp-admin) where ‘domain.com’ is replaced with the real website name. 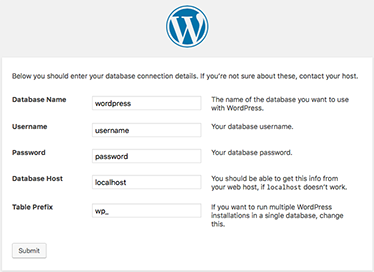 Enter the username and password defined during WordPress setup and “Log in”. The WordPress dashboard should be displayed.